Enter the Sector 7 slums after passing through the station. Proceed to the left after entering the next screen. You can also talk to the man to the north. Save your game at the Save Point. 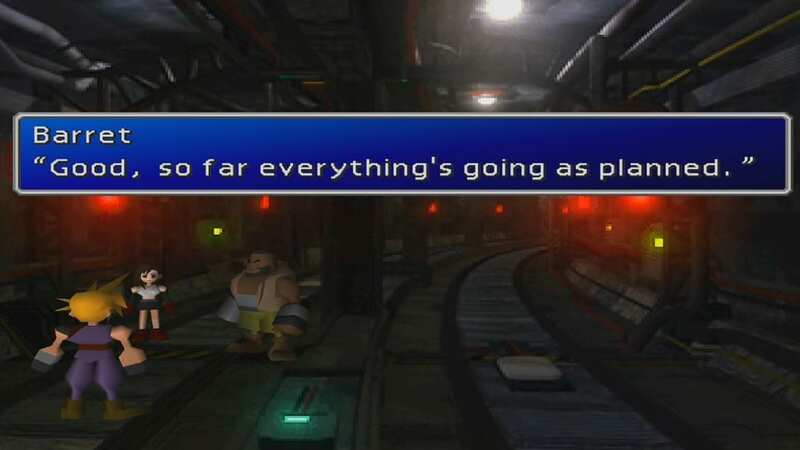 Resume following Barret’s path. Talk to him after he makes his stop. 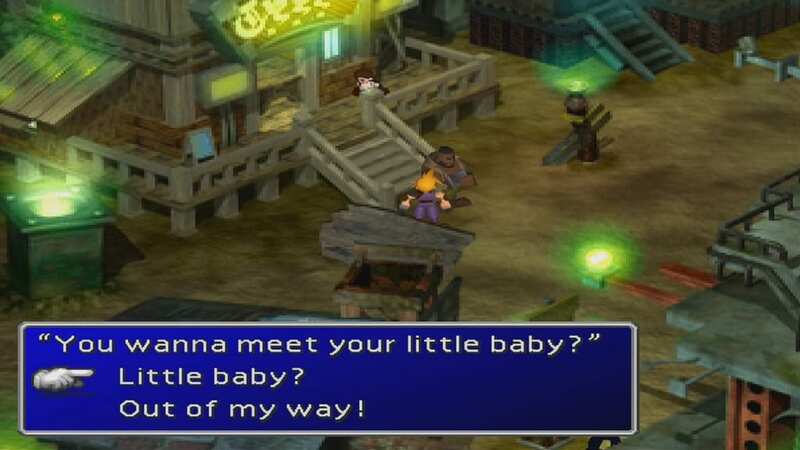 Leave Barret behind and enter 7th Heaven. Follow the team down the pinball machine trap door and listen to Barret’s story. Return back to the top floor and walk toward the exit. 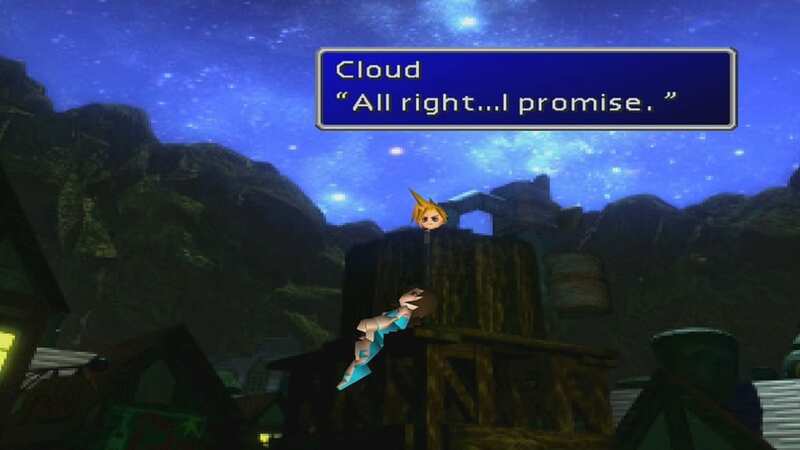 Tifa will catch up and talk with Cloud about their promise. 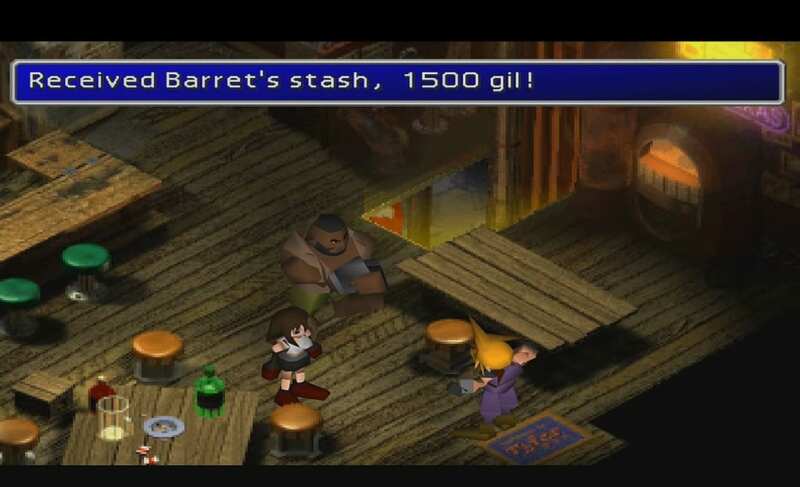 Barret will come out shortly and pay Cloud. 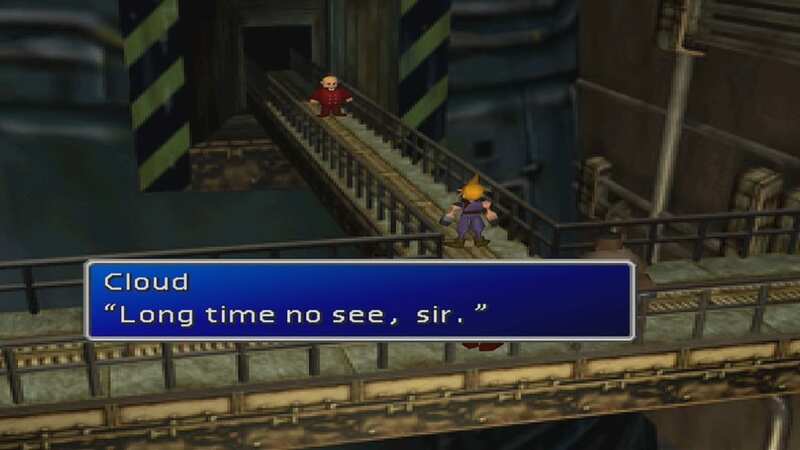 He then asks Cloud to join the next mission. 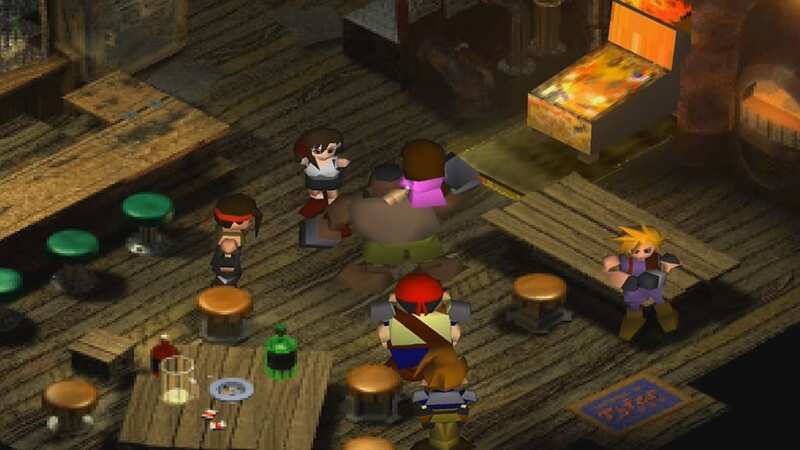 Tifa will become playable. Move her at the Front Row of your party along with Cloud. 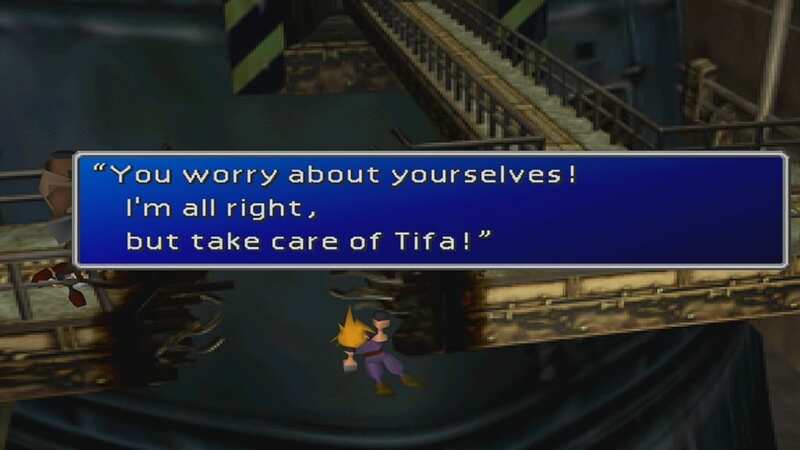 Speak to Tifa the next morning. 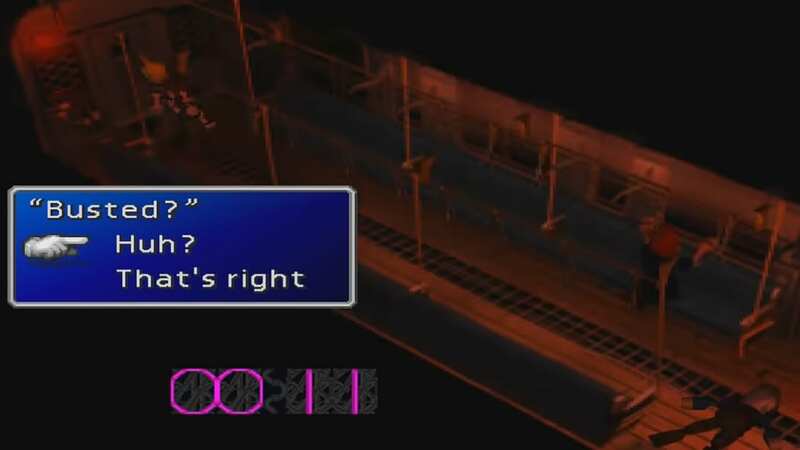 Attend the next mission meeting for the Sector 5 reactor by speaking to Barret. Go outside and proceed to the Item Shop located in the building down and to the left. Proceed to the Weapon Shop located in a building next to the Item Shop. You can buy items there prior to the mission. Proceed to the second floor of the Weapon Shop and enter the doorway. 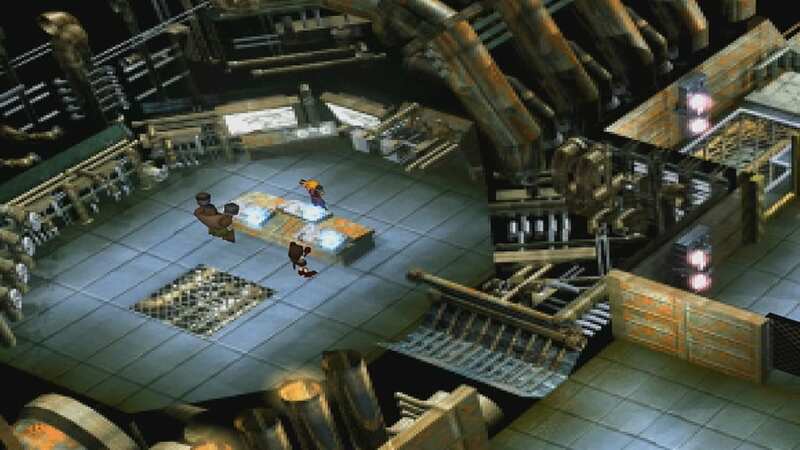 Pick up an All Materia in front of the man at the bottom of the screen. Pick up an Ether from the Treasure Chest falling. Purchase three Iron Bangles. These increases the equipped character’s defense while providing and additional Materia slot. 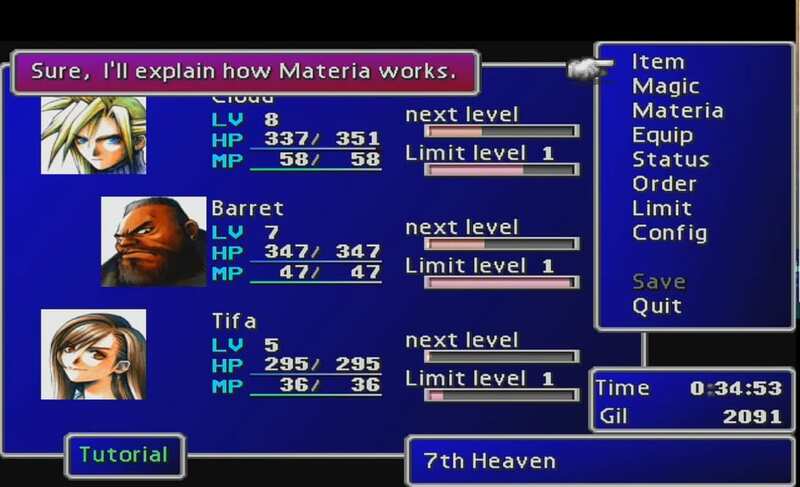 Purchase Fire Materia and equip it to Cloud. 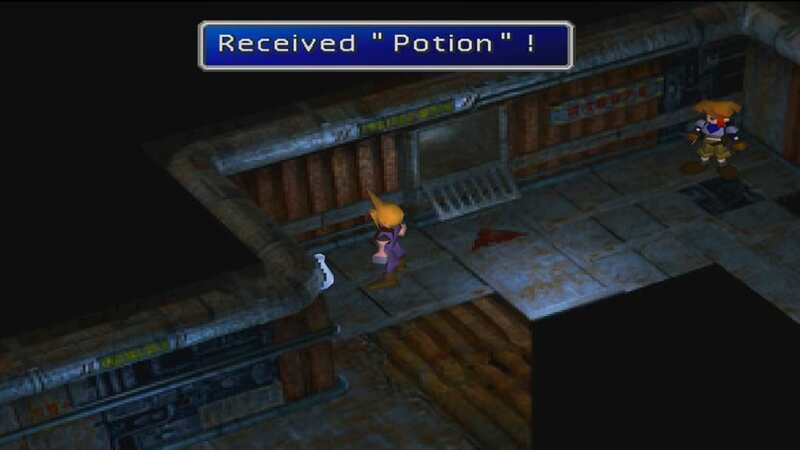 Cloud can use the Materia on enemies weak to fire magic. Also get Lightning Materia for Tifa and Barret if you have extra Gil. Proceed to the Sector 8 train station. Look at the railway monitor map with Tifa. A security alert will sound. Proceed to the fourth car immediately. Speak to a man on the first train car and receive a Phoenix Down. Catch the man who stole your Gil in the third train car. 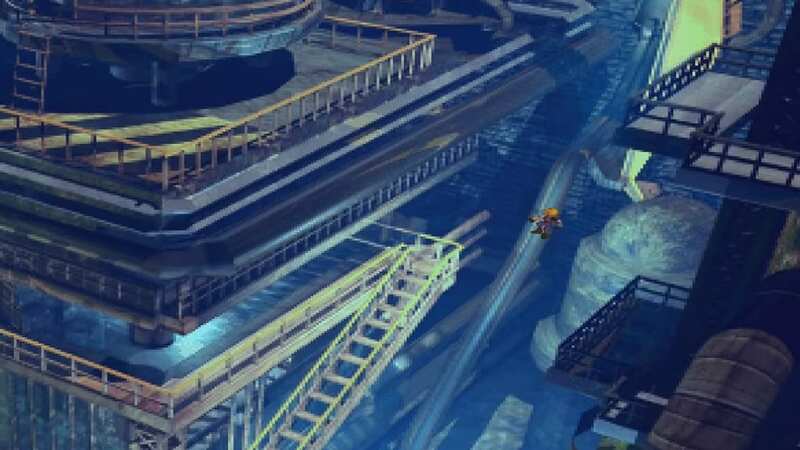 Speak to Tifa to jump off of the train when you arrive at the fourth car. Proceed along the train tunnel. Use the hatch on the left when you encounter a wall of beams. Prepare for enemy battles along the way. After coming out the hatch, pick up an Ether on the path. Proceed to the ladder on the left side. Pick up a Potion beside Jessie. Pick up a Tent lying on the ground and save your game before climbing up the next ladder. Cloud will end up in the Mako Reactor #5 area. Use the pipe on the right side to slide downward. Proceed to the same doorway used in the previous reaction infiltration.Follow the same pathway used for the main pipe. Save your game at the Save Point. Place the bomb and go back the way you came. Ride the elevator upward. 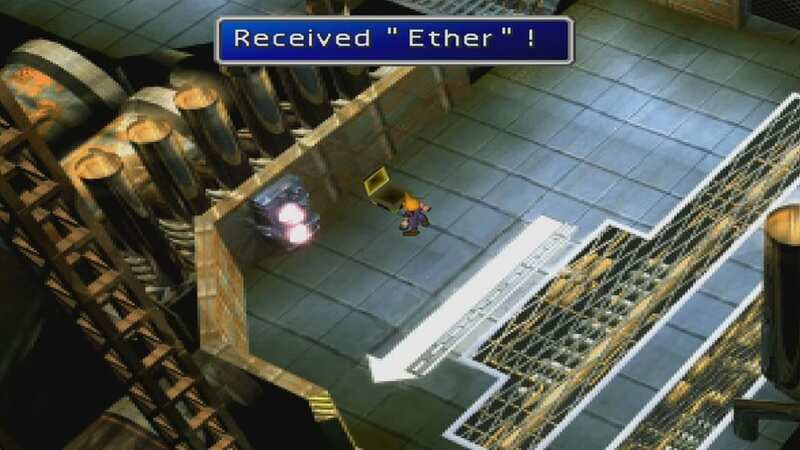 Pick up an Ether in the Treasure Chest outside the elevator. After trying to activate the door, save your game at the Save Point before moving to the next room. Make sure the party’s HP is full and their Limit Breaks don’t get used in normal battles. Go down the steps and follow the pathway to trigger a cutscene. 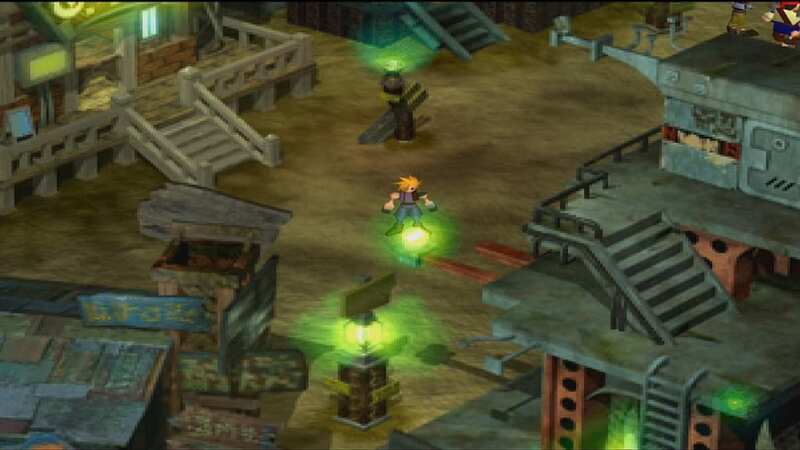 After the boss battle, Cloud will fall into a massive hole leading to the lower levels of the Sector 5 Slums. 2) Proceed to the left after entering the next screen. 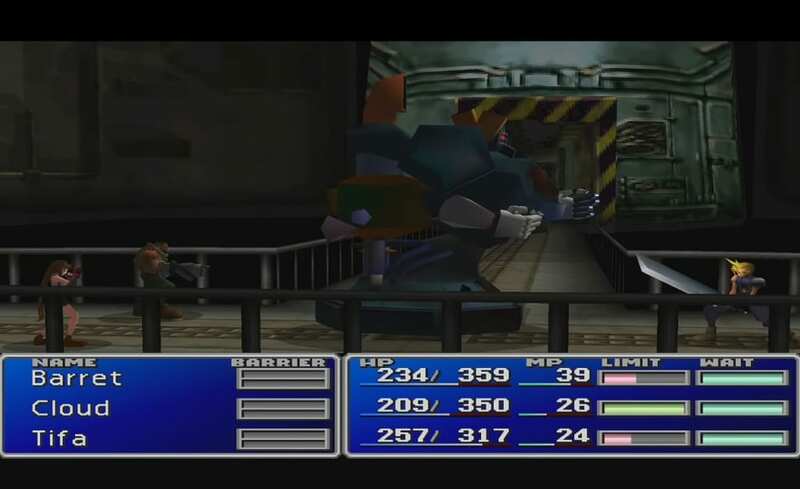 3) Resume following Barret’s path. Talk to him after he makes his stop. It is advisable to retain her name the same as others. 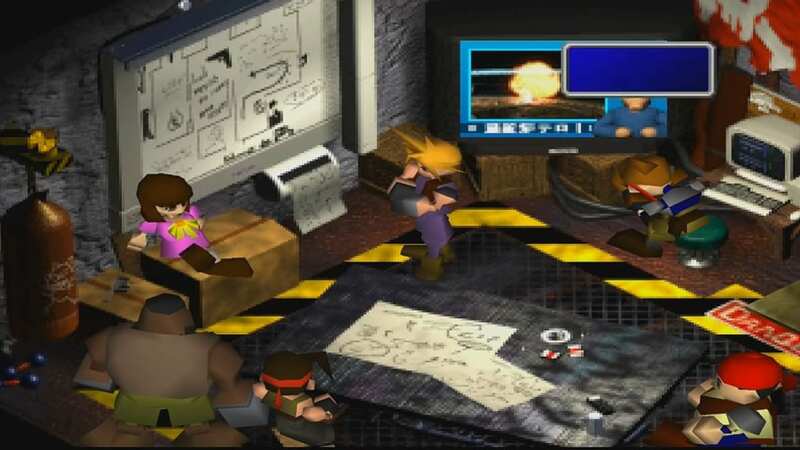 6) Follow the team down the pinball machine trap door and listen to Barret’s story. 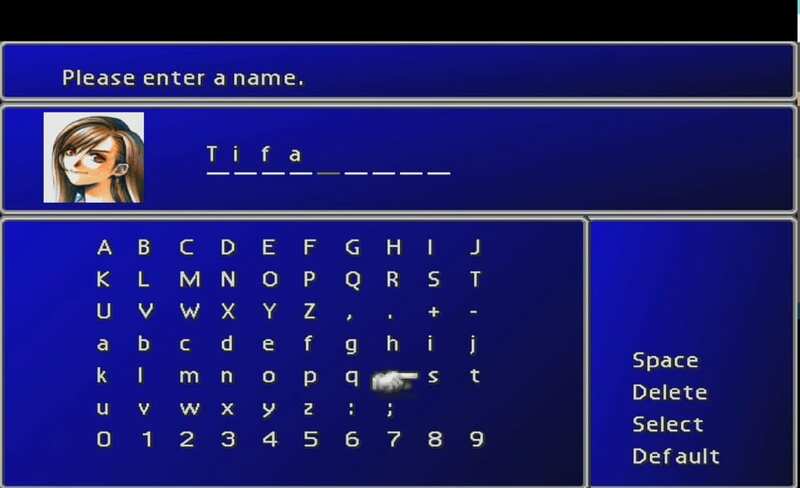 8) Tifa will catch up and talk with Cloud about their promise. 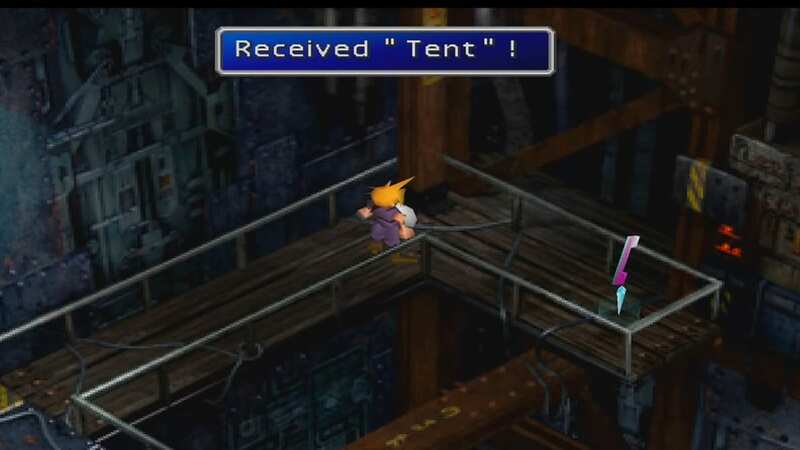 8)Barret will come out shortly and pay Cloud. 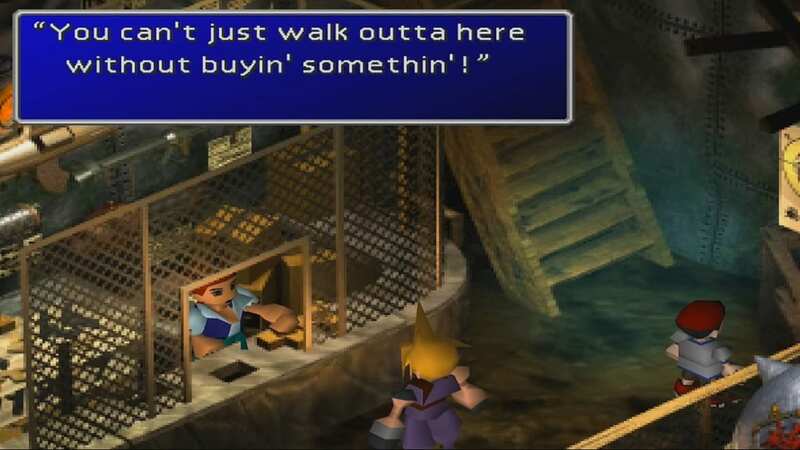 He then asks Cloud to join the next mission. Tifa will become playable. Move her at the Front Row of your party along with Cloud. 11) Go outside and proceed to the Item Shop located in the building down and to the left. 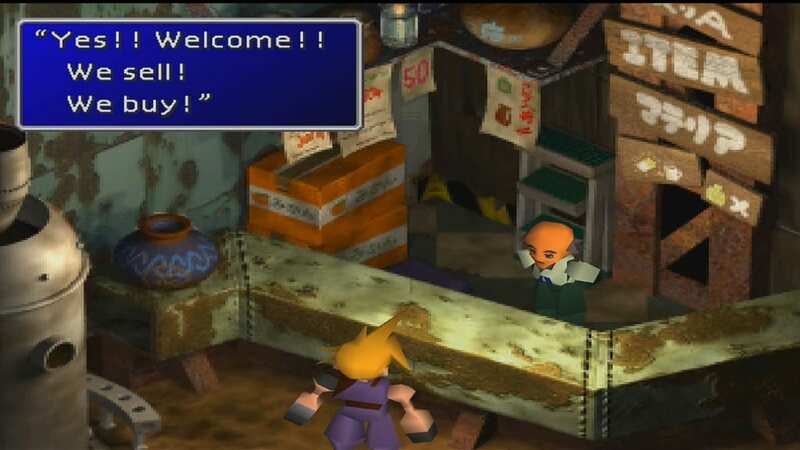 12) Proceed to the Weapon Shop located in a building next to the Item Shop. 13) Proceed to the second floor of the Weapon Shop and enter the doorway. 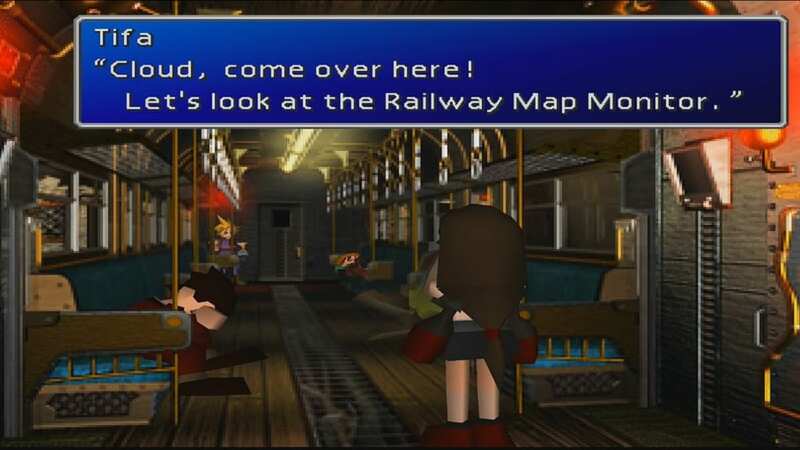 20) Look at the railway monitor map with Tifa. 21) A security alert will sound. Proceed to the fourth car immediately. 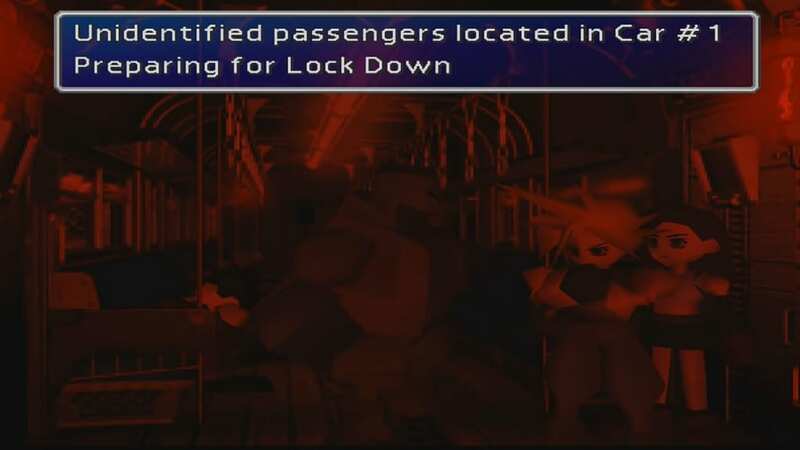 23) Catch the man who stole your Gil in the third train car. 24) Proceed further north in the train tunnel. Use the hatch on the left when you encounter a wall of beams. Prepare for enemy battles along the way. 25) After coming out the hatch, pick up an Ether on the path. 28) Pick up a Potion beside Jessie. 29) Pick up a Tent lying on the ground and save your game before climbing up the next ladder. 30) Cloud will end up in the Mako Reactor #5 area. Use the pipe on the right side to slide downward. 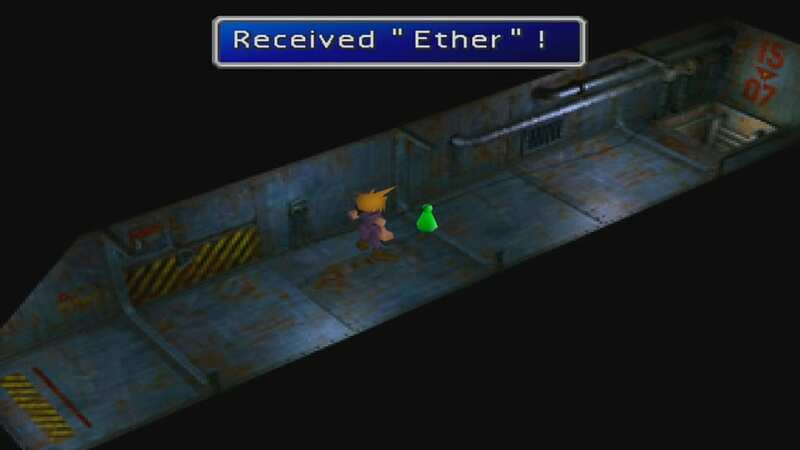 33) Pick up an Ether in the Treasure Chest outside the elevator. 37) Go down the steps and follow the pathway to trigger a cutscene. Same with Guard Scorpion, this boss is also weak to lightning-based magic attacks. 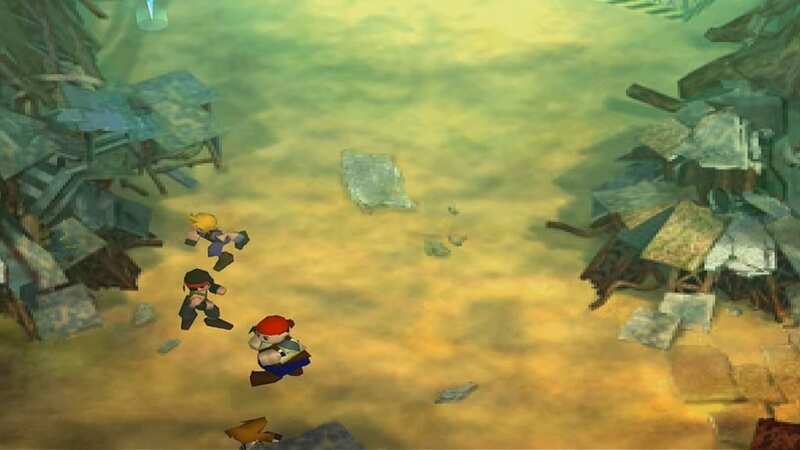 39) After the boss battle, Cloud will fall into a massive hole leading to the lower levels of the Sector 5 Slums.